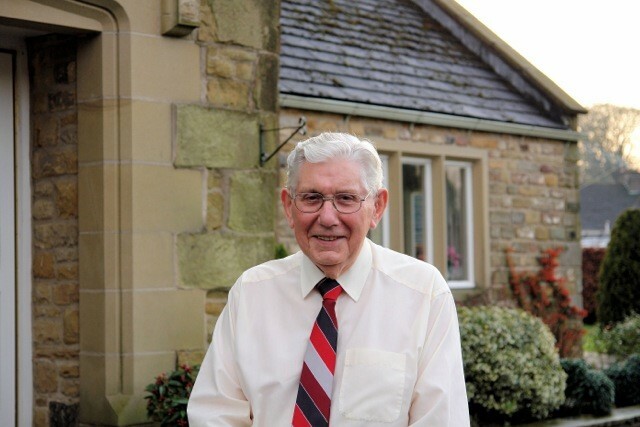 We are sad to announce the death last week of Steve Trudgill, 90, the founder of Malvern Instruments. Steve was born in Nelson, Lancashire on the 15/05/1926. From relatively humble beginnings (his father worked as an Electrician in a Lancashire mill), he started his working career at 17 years old as an Apprentice at RSRE (Royal Signals and Radar Establishment), now Qinetiq. He spent the next 20 years at RSRE as a Senior Experimental Officer. This was during the early years of the war, and Steve was put to work with some of the top engineers in the country brought together to develop radar. They worked long gruelling hours, often flying at night to carry out tests. The country was relying on them – the development of radar made a significant contribution to the winning of the war. 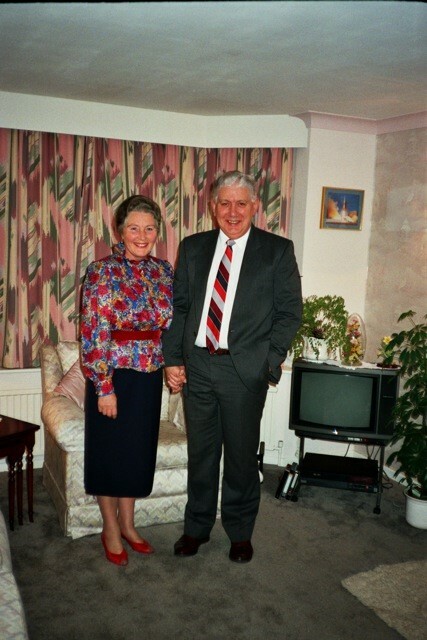 Steve married Evelyn in 1947, and at that time, was still studying at night school for his HNC. He saw a business opportunity and started up Lawson Tubes, purchasing old televisions, repairing them and selling them on. This developed into a mail order television tube business, delivering tubes directly to customers. In 1961, a new garden shed arrived and was quickly filled with television tubes, followed by a move to an old Home Guard warehouse in the railway siding at the Malvern Wells station. Although at this time the tube business was the more successful, and occupied 3/4 of the building, the business started to decline. In the late 1950’s, in parallel to the tube activity, Bill Woodley, a Scientific Officer within RSRE, had been tasked to investigate and reduce the focussed spot size of magnetically focussed and deflected cathode ray tubes for Radar displays. A cottage industry sprang from this research, becoming Precision Display Systems (PDS) when Steve, Bill and Arthur Kitson started their own company in 1961, with Steve as Managing Director, supplying cathode ray tube mounting units and focus coils to Ferranti Ltd. This business occupied the rest of the building and expanded until the building became too small for the growing business, and in 1965 it moved to Spring Lane North. At that time, the product portfolio included diamond saws and Lapping/polishing machines, with correlators added in 1971 in parallel with a further move to Spring Lane South and a name change to Malvern Instruments Ltd.
Further development of innovative products led to the MacRobert award in 1977, recognizing the successful development of innovative ideas in engineering, and the Queen’s Award for Technological Achievement in the same year. Products continued to be developed, with laser diffraction added in 1980, with the success of the business recognized by three further Queen’s Awards between 1981 and 1988. The success of the business attracted interest from potential buyers and Steve eventually sold the business to Cray in 1985 and finally left the business in 1988. The original research conducted into the development of telecommunications and opto-electronic materials by Steve and his colleagues provided the ideas for the products that today are the lifeblood of Malvern Instruments. Now a world-leading company employing 897 personnel worldwide, 375 of them based in Malvern, they continue to develop technically innovative products, building on Steve Trudgill’s founding innovation and leadership. Once he left the business, Steve concentrated on his many hobbies, which included Fly Fishing, Photography, Motor Bikes and Cars, although Steam Locomotives were his passion, emphasized by the building of a working steam locomotive railway system in his back garden. 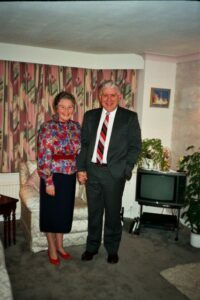 Steve’s wife, Evelyn, died in 2007 after 60 years of marriage. 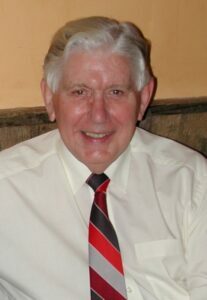 He is succeeded by 4 children, 10 grandchildren and 5 great grandchildren.